Located in Detroit, Michigan, Weld-Aid Products was established in 1958 as a division of the Roy Smith Welding Supply Company and quickly realized there were opportunities to improve the efficiency of the wire feed process in the welding marketplace. Today, Weld-Aid products are designed to both clean and lubricate the wire, reducing friction as the wire is fed to the torch. A full line of welding and metal protection products are marketed, including category-leading products in zinc coatings, anti-spatter and lubricants. Customers are served through two major selling divisions: the aftermarket division for welding-related cleaning and lubrication products and the zinc rich coatings division, specializing in products and solutions for the galvanizing and infrastructure markets. Industry leading Weld-Aid® branded products include: WELD-KLEEN®, a coating to prevent spatter buildup; NOZZLE-KLEEN®, a coating to maximize tip life; LUBE-MATIC®, a coating to maximize tip and liner life; FRACSURE®, YORK’S Products, BRITE® Products, and leading galvanizing brands BRITE ZINC® and Weld-Aid 1st ZINC™. The Weld-Aid product business will become part of the CRC Americas Group led by Wayne King, president, CRC Americas. CRC Industries is a global leader in the production of specialty chemicals used by MRO and installer professionals and the do-it-yourself (DIY) consumer. CRC serves a variety of markets, including industrial MRO, automotive, heavy duty truck, marine, electrical, construction, and aviation. 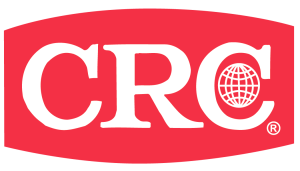 CRC operates worldwide in the regions of the Americas, EMEIA, and Asia Pacific, with 6 manufacturing sites and 14 distribution points, and is sold in over 120 countries. CRC trademarked brands include: CRC®, K&W®, Sta-Lube®, SmartWasher®, Marykate®, Ambersil®, KF®, Kontakt Chemie®, Ados®, Action Can® and Kitten®.